2013 was a momentous year for mixed martial arts. So, for the next week we here at Yahoo! Sports are presenting our 2013 MMA Awards. Each day, now from January 8 (full schedule below), we will present at least one award. We've got awards for Fight of the Year, KO of the Year, Comeback of the Year, Television Commentator of the Year and lots more. Today, we begin with the male and female Fighters of the Year. While the awards will no doubt be considered the highlights of every fighter and/or personality's respective careers, our awards unfortunately don't come with $50,000 bonus checks like the UFC's "of the night" awards. Virtue is its own reward though, right? Anyway, check out our awards presentation schedule below and then, check out who we've selected as the female and male Fighter of the Year. This was a hotly contested category with other fighters like flyweight champion Demetrious Johnson, Vitor Belfort and Johny Hendricks also considered for their incredible feats in the UFC's Octagon. However, if you were to tell us last year that a fighter would overcome two surgeries, a literal hurricane and homelessness and go on to dominate the best fighter, pound for pound, in all of MMA not once but twice in 2013, it would be hard to imagine someone ending up being more deserving of this distinction. Chris Weidman did all of that in 2013. The "All-American" had two shoulder surgeries in 2012 and had his family's new home destroyed by Hurricane Sandy. 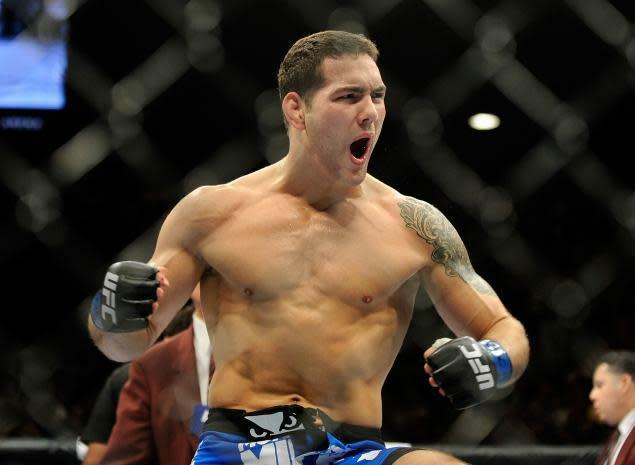 By the time he squared up against middleweight champion Anderson Silva in July, Weidman had not fought in a year. No matter, he dominated Silva on the ground and on the feet en route to a shocking 2nd round KO win. It was the first loss for "The Spider" in over seven years. To follow up, Weidman granted Silva an immediate rematch and dismantled Silva for a second time with even more apparent ease and earned another 2nd round stoppage win. You can fight just twice in a year and still be the Fighter of the Year when both fights are dominant wins over perhaps the greatest mixed martial artist in history. Congratulations to Chris Weidman on being 2013's Yahoo! Sports Male Fighter of the Year. Really, could there be any other choice? Along with opponent Liz Carmouche, the UFC women's bantamweight champion became the first woman to headline a UFC pay per view in February. She submitted Carmouche with an arm bar and then went on to submit rival Miesha Tate in their UFC 168 title rematch for a second time. Rousey and Tate were also the first ever Ultimate Fighter season coaches and lead a cast of women who proved to be far bigger draws than the men on the season. It was a huge year for women's MMA and Ronda Rousey continued to be its biggest star and pioneer. 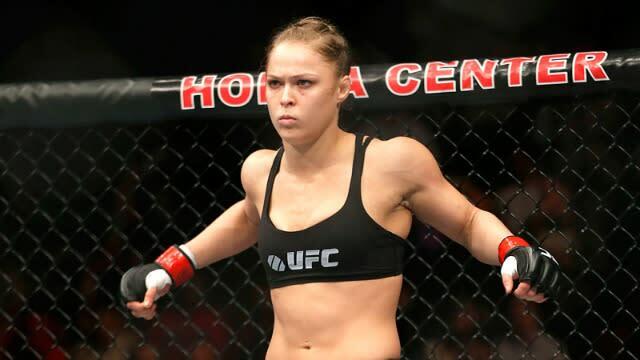 Rousey was quick to accept another fight in early 2014, just two months after beating Tate in late December, 2013, so the "Rowdy" one gets extra points for not resting on her laurels. If Rousey manages to beat fellow Olympic medalist Sara McMann in their UFC title bout in February, she'll be on her way to being 2014's top woman as well. Check back with us tomorrow for Yahoo! Sports' MMA Fight of the Year!